As my friend and esteemed colleague here at Decibel Geek, Wallygator, has featured in his “Hoser Heavy Metal” articles, there are a lot of great musicians, bands, and albums that have been exported from our Canadian homeland, The Great White North. 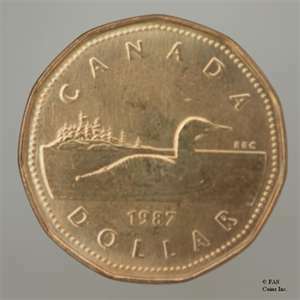 1987 in Canada saw the introduction of the one dollar coin, commonly referred to as the “loonie”. 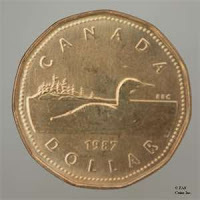 The loon, which is a bird common to Canada, is on one side of the gold coloured coin and Queen Elizabeth II on the reverse. And so in our younger days, we would save up our loonies from part-time jobs such as grass cutting and rush down to the record store to secure the new releases. The following are just a few of the great releases from Canadian artists that helped us part company with our hard earned “loonies” that year. 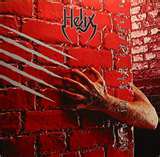 Helix, known as the hardest working band in Canada, released Wild in the Streets on June 21st. The album presented such classic tunes as “Dream On” (a cover of the Nazareth song), “Shot Full of Love” and the title track, “Wild in the Streets”, all of which are still played live today. The first edition cassettes that were produced were sought after items, with the cool feature of the actual cassette shell being glow-in-the-dark! The track “She’s Too Tough” was penned by Def Leppard lead singer Joe Elliot. 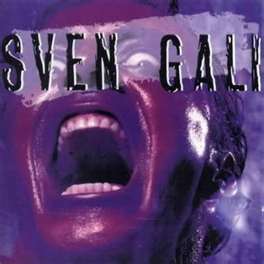 It also appeared as a b-side for them and on their Retro-Active disc as well. Both “Wild in the Streets” and “Dream On” were released as singles and helped the record to chart well in Canada, pushing the album to #27. Alas, this solid release from the hard working Canadians would be the last to feature original guitarist Brent “The Doctor” Doerner as he had grown tired of the hardships of the road and touring. Fellow Decibel Geek Wallygator and I had the opportunity to see Helix perform in April with original members Brian Vollmer, Daryl Gray, Fritz Hinz and Brent Doerner as well as newcomer Kaleb Duck. We were excited to hear the three classic songs that this record spawned. Check out Wally’s review of the show here: Helix at the Rockpile/Brian Vollmer Interview and if you’re in the area go see them on September 28th at The Rockpile in Etobicoke Ontario, once again The Doctor’s last show. I promise you won’t be disappointed! The same year also saw The Tragically Hip, often referred to simply as The Hip, put forth their self-titled debut EP containing eight songs, some of which are still concert favourites today and can generally be heard at house parties and cottages all across the Great White North. 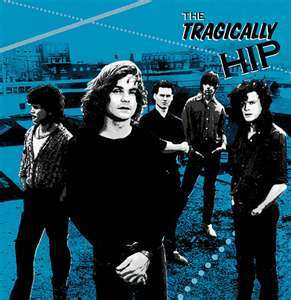 The album spawned two singles, “Small Town Bringdown” and “Last American Exit”, along with a live version of “Highway Girl” during which lead vocalist Gord Downie goes into a rant, telling the fictional story of a suicide. This rant became a sort of trademark of their live performances with “Killer Whale Tank” during “New Orleans is Sinking” (a track from their first full-length release in 1989) being the most popular. Although the songs on this EP are a bit more simplistic and straight ahead lyrically than later works, it’s a good start to a Canadian tradition that are still playing and recording together today with all original members. While nine of their twelve albums have reached number one on Canadian Charts and the band have been awarded 14 Junos, they have known little or no success south of the border, but remain icons in Canadian pop culture. 1987 saw Lee Aaron put out her fourth and self-titled record on February 17th spawning two charting singles, “Only Human” (her first top 40 hit) and “Going off the Deep End”. The album reached #39 on the RPM Canadian Albums Chart and had been recorded at Triumph’s Metalworks Studios in Mississauga, Ontario. Lee Aaron and long-time songwriting partner/guitarist John Albani enlisted the talents of Joe Lynn Turner (of Rainbow fame among others) and he collaborated on the tracks “Powerline”, “Number One” and “Hands Are Tied”. Even though the CD has a bit of a softer side compared to earlier releases there are a few rockers to be found here amongst the keyboards. In the liner notes of the 1992 released compilation CD of the same name, the song “Powerline” is described as “This title appeared as “Powerdick” on my set list for months courtesy of my charming road crew. I attribute all my bad habits to them!” Karen Lynn Greening began singing in school musicals at age five and at age seventeen was asked to join the group Lee Aaron. Well known, heavily stereotyped and haunted throughout her career for her 1984 hit “Metal Queen” (the song is actually about female empowerment), her biggest commercial success would come with her next release in 1989’s Bodyrock. She has been nominated for many Juno Awards including Female Vocalist of the Year in 1987 and winning Best Female Vocalist at the inaugural Toronto Music Awards in 1987. 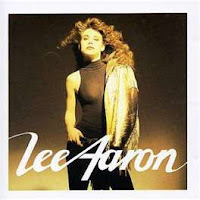 Due to poor management and marketing strategies on behalf of the record company, Lee Aaron’s records were never released in the U.S. and with the Attic label re-titling of her first release, The Lee Aaron Project as simply Lee Aaron this 1987 release often gets lost in the shuffle. 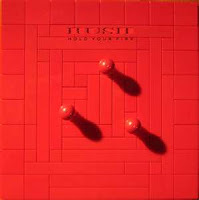 Canadian progressive rock icons Rush released their commercially disappointing twelfth album Hold Your Fire on September 8th1987. Even though it peaked at #13, the first Rush album to fail in cracking the top ten since 1978’s Hemispheres, on the Billboard 200 chart, it only reached gold sales status whereas the previous five Rush albums had achieved platinum status or better. Employing more of Geddy Lee’s multi-layered synthesiser on this record, Lifeson’s guitar was diminished and the trio experimented with new songwriting territory such as the classical Chinese music influenced “Tai Shan”. The album spawned four single releases with “Time Stand Still” and “Force Ten” being the most memorable hits. 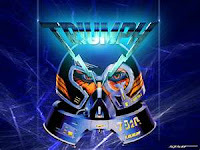 The trio are well decorated in the music community with Neil Peart receiving many, many awards including Drummer of the Year from Drum Magazine and Best Rock Drummer from Modern Drummer. Alex Lifeson appears in Rolling Stone’s 100 Greatest Guitarists of All Time while the vocals of Geddy Lee rank at #13 on Hit Parader’s 100 Greatest Heavy Metal Vocalists of all Time. The three were also made Officers of the Order of Canada on May 9th, 1996, and were the first rock band to be honoured as a group. See how fellow Decibel Geek Wallygator was Kidnapped by Rush Fans. Sven Gali formed in 1987 as a cover band, but their eponymous debut of original material would not see daylight in record stores until 5 years later. 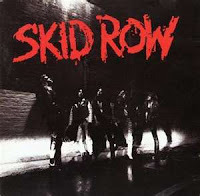 Skid Row got together featuring Canadian frontman Sebastian Bach and readied their debut CD for its release in 1989. 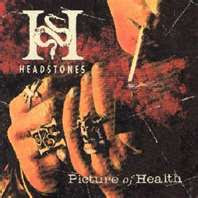 The Headstones organised in 1987 in Kingston Ontario, with their first album following in 1993. They remained active, performing and recording until 2003 and then re-forming for a short tour in 2011. Edgefest had its inaugural year on Wednesday, July 1st, 1987. 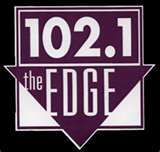 Toronto Radio station 102.1 “The Edge” wanted to celebrate their tenth birthday and also Canada Day. So they decided to put on a large one-day rock festival featuring mainly Canadian acts, even though at the time this kind of thing was considered a great financial risk. Some of the performers included Blue Rodeo, Teenage Head, Northern Pikes, Breeding Ground and The Pursuit of Happiness. The show was a great success, with tickets being sold at $1.02 each, 25000 people made the drive from Toronto to Barrie (around 90km) where the concert was held. This festival concert has become a Canadian staple and still goes on today. On November 2nd, 1987 Lee Aaron was nominated for a Juno Award for Female Vocalist of the Year, Male Vocalist went to Bryan Adams as he won over Kim Mitchell. Kim Mitchell came back and took Album of the Year for Shakin’ like a Human Being while Tom Cochrane & Red Rider took Group of the Year away from the nominated Triumph among others. The Canadian Music Hall of Fame which honours Canadian musicians for lifetime achievements and is also known as the Juno Hall of Fame inducted The Guess Who in 1987. A fine year for Canadian music indeed and a lot of loonies well spent! !